It’s great to see you again. When alumni stay in touch and stay involved, everyone benefits. The experience of every student, no matter what class or year, has been enhanced by the generosity of Penn Engineering alumni. Their donations are varied, some give time, acting as mentors, others volunteer to help at special events, many contribute to our Annual Fund, ensuring that the quality of education at Penn Engineering will continue to thrive. Still others offer internships or fund research projects, create scholarships and fellowships, some give laboratories, even buildings. Penn Engineering offers a number of benefits and offers opportunities for continuing education and professional networking, as well as some great social events. Join us – we’d love to have you. The list below explains the ways that you can reconnect with Penn Engineering. Mentoring is a proven strategy for increasing retention rates in science and engineering. Sharing your experiences and helping students understand how engineers thrive in business, industry or government provides invaluable support for students pursuing an engineering or science education. We appreciate all financial contributions to Penn Engineering; they make a significant impact on the quality of education we offer, support deserving students who may not have the means to attend Penn, and fund innovative research by faculty and students. You can contribute to our Annual Giving Fund, or designate your contribution in other ways. We have a number of choices that will help you find the best way to make your donation. Once you’ve decided, you can donate online. Remember Homecoming? The Senior Design Competition? We are always happy to have help with special events and activities. The Engineering Alumni Society helps with all kinds of events and engagement activities. 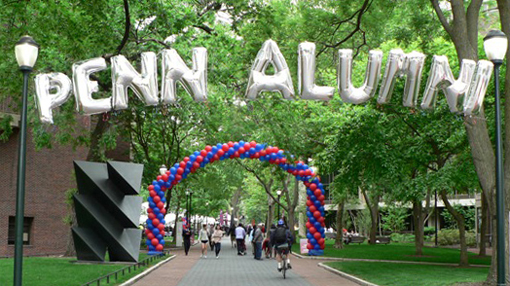 Penn Engineering Alumni who are interested in taking a graduate course in Penn Engineering for personal or professional reasons can take advantage of the Engineering Alumni Program. Upon approval from one of the Engineering departments, alumni will be permitted to register for one course in an academic year, space permitting.